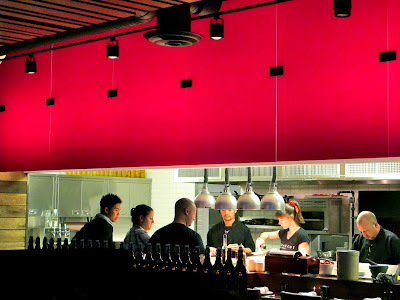 Charcut Roast House in Calgary is on the list. photo by Sue Frause. I love "best of" lists. Not so much the ones where viewers/readers vote and it's more of a popularity contest (ala Evening Magazine's Best of Northwest Washington or Conde Nast Traveler's annual lists). But those "best of's" where folks in the biz share their knowledge and insight with others. Maclean's magazine has come out with such a list for the first time, specifically the 50 Best Restaurants in Canada. Receiving top honors were Hawksworth Restaurant in Vancouver as Restaurant of the Year; Normand Laprise of Montreal's Toque! as Chef of the Year; and Toronto's The Grove as New Restaurant of the Year. No surprise that the compilation of top restos resulted in no shortage of gasps and moans, mostly on the part of food writers who feel it's not a true reflection of the Canadian dining scene. Eater has a post on its site that says it all: Tempers Flare Over Canadian Top 50 Restaurant List. Montreal seemed to be the most pushed out of shape, including fine dining and restaurant critic Lesley Chesterman of The Montreal Gazette. I've only been to six of the 50 restaurants (indicated with a star below), mostly in British Columbia. They include Blue Water, Cioppino's and L'Abattoir (Vancouver) and Araxi in Whistler. The others are Charcut Roast House in Calgary and Segovia in Winnipeg. And it would have been wonderful to had such a list while on my Great Big Canadian Train Adventure several years ago. If you'd like your own copy, a special edition of Maclean's magazine is on newsstands now for $12.95, or you can order it online. Whether you agree with Maclean's food columnist and critic-at-large Jason Richler or you don't, it's fun to chew over the results while dining at one of the selected restaurants. Or choose one that you think should have made the cut. Then tweet about it or not. 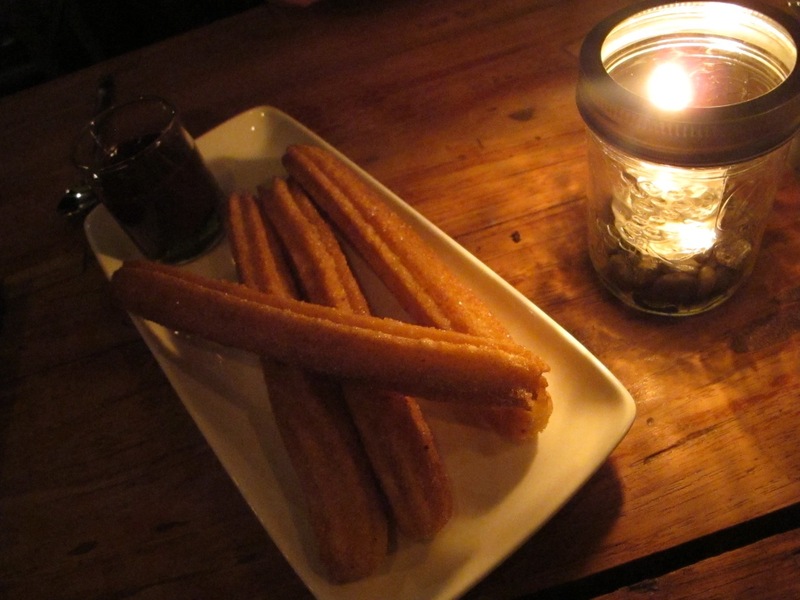 Cinnamon Churros with Spanish Hot Chocolate at Winnipeg's Segovia. Sue Frause photo.